Woohoo, its spring and I am so excited! I am so happy that its time for the monthly subscription boxes too. 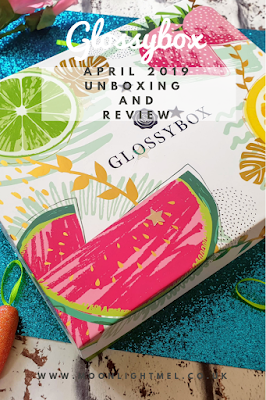 Last month I wasn't overly wowed by the March's Glossybox but I came into this month a fresh and excited for the April 2019 box. 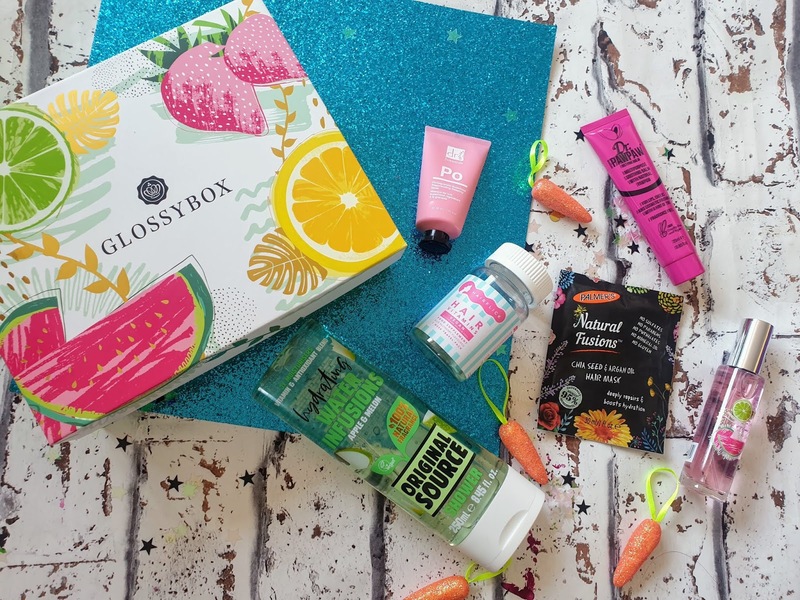 Aprils Glossybox's theme is 'Fruity or Floral' and you could have got either of them, I got the 'Fruity Edition'. Now the themes aren't just names but the products inside are inspired by floral or fruity fragrances which I think is a cool touch. 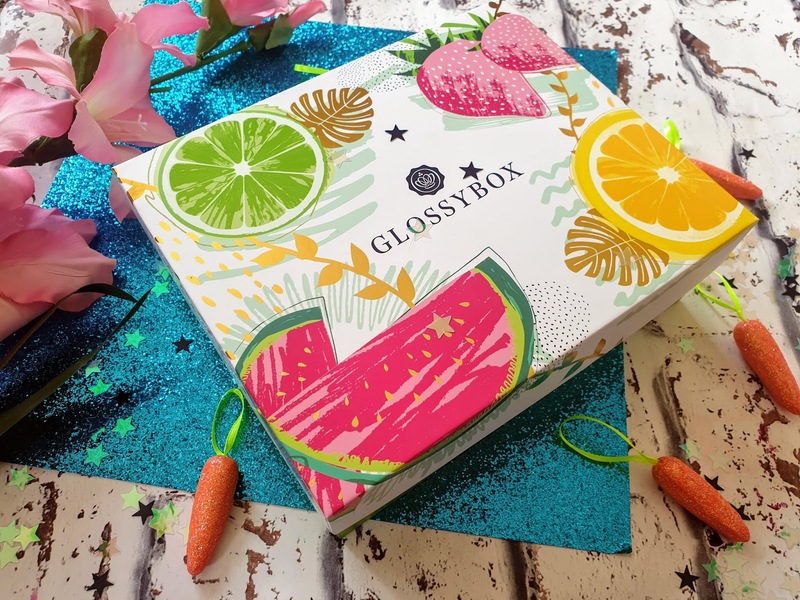 Glossy box is a monthly beauty subscription box that costs £10 a month plus P&P. Products inside the box could either be haircare, makeup, skincare or all of them - how cool is that? This has cute fruity packaging and the fragrance itself just screams summer! It has a lovely exotic and floral fragrance which is a blend of tangerine, blackcurrant and passion fruit with delicate notes of raspberry, peach and apple to add a lovely fresh twist. Pretty impressed that these are vegan-friendly! These are a complex blend of vitamins and biotin and they have a lovely raspberry flavour. Taking 2 a day of these vitamins can help promote hair growth as well as improving skin and nails too. This is a regenerating face mask that is rich in moisturising pomegranate which is all natural deeply nourishing and hydrating for the skin. Simply apply a thin layer of this before bedtime. I am looking forward to trying this. Dr PawPaw Balm is formulated with pawpaw fruit that moisturises the skin, lips and many other purposes. The lip balms can have a tint that adds a lovely subtle rosy hue to the lips or the cheeks while hydrating at the same time. I love Orignal Souce products so getting this made me happy as I haven't tried the water infusion shower gels as yet. This has a lovely fresh apple and melon scent which is lovely and refreshing. Not only does it smell amazing but its infused with antioxidants and vitamins to help moisturise and hydrate the skin. This is intensive and deeply conditioning hair mask with nourishes dry and damaged locks. It is also formulated with argan oil, which boosts hydration and rejuvenates dull hair. Not only that it has chia seeds with helps protect tresses. Simply leave 15 minutes then rinse. Much. better box than last month, I really love everything in this months box and I am sure they will all be used because I love fresh and floral scents. My favourite product has to be the Dr Botanicals Pomergrante Superfood Regenerating Face Mask as I just love nighttime skin care products. With that being said I am looking to trying everything this month. Would I buy another box? Hell yeah! 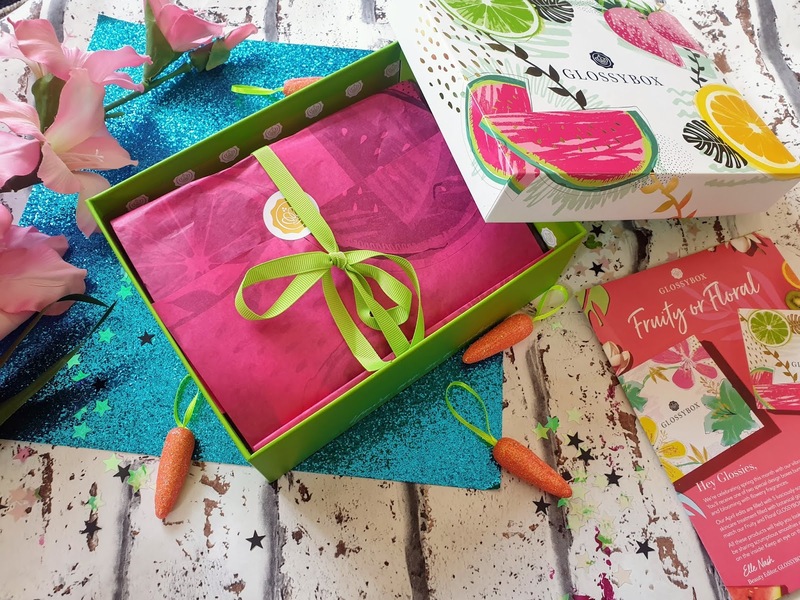 This months box design is just lovely and the products inside are impressive too, I am excited about next months box now. Did you get April's Glossybox; What are your thoughts on it?